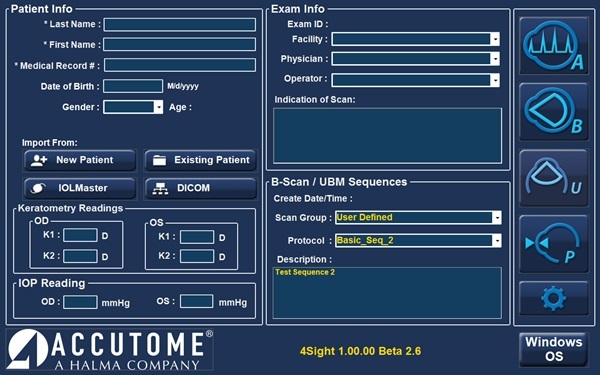 For over 30 years Accutome has built a reputation for high quality, reliable and reasonably priced ophthalmic diagnostic equipment. The addition of the 4Sight is no exception. 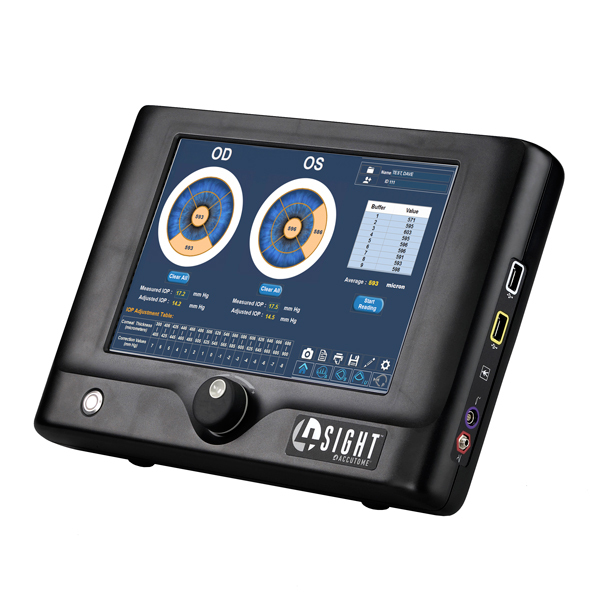 Designed with eye care professionals in mind, the 4Sight provides a single solution for ophthalmic diagnostics by combining an A-Scan, B-Scan, UBM and Pachymeter in one, easy to use platform. 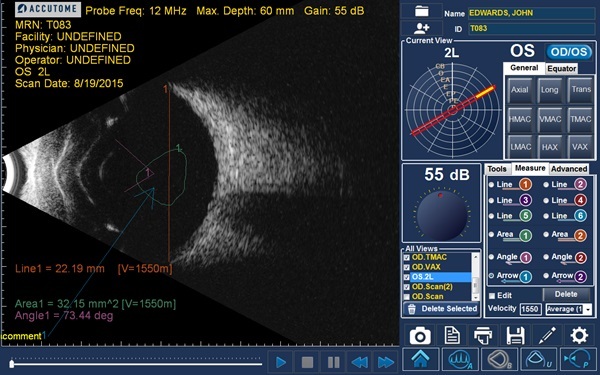 We realize the demands on today’s busy clinics and designed the 4Sight to meet those needs by delivering a high value product that is accurate and efficient. 4Sight Flyer Single page flyer that covers the unit as a whole. 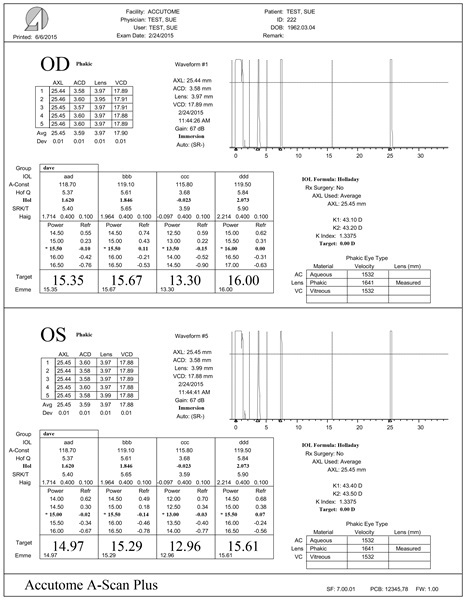 4Sight Brochure Multi-page brochure that covers the unit as a whole as well as each individual probe. 4Sight Unit only. Includes touchscreen technology with intuitive user interface. Unit comes with kickstand and probe holders for up to three probes. Black in color and adjustable gain knob on front of unit. 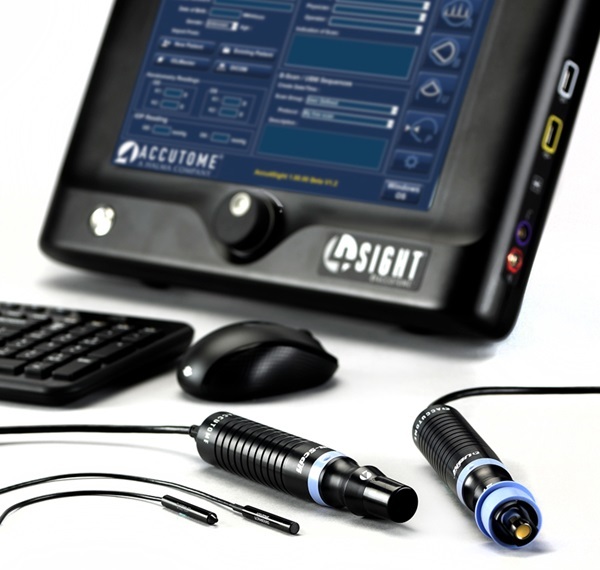 B-Scan probe option for 4Sight Unit. 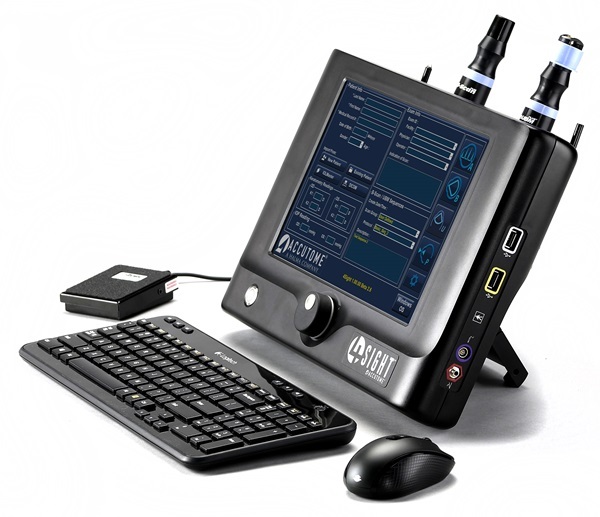 The B-Scan Plus' proprietary software combined with unique probe electronics makes it the premier, portable High Definition B-Scan. 0.015mm resolution, 12 measuring calipers, 2x image zoom, and its portability make the B-Scan probe a great addition to your 4Sight unit. 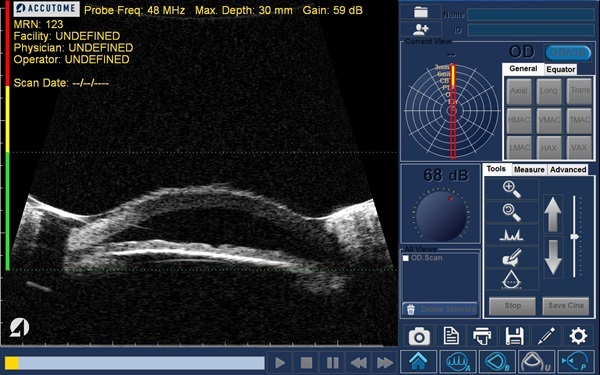 A-Scan probe option for 4Sight Unit. 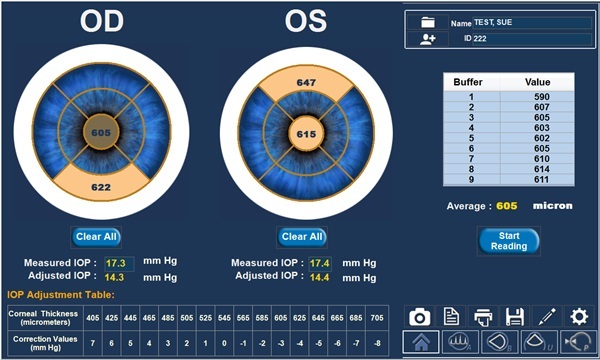 The A-Scan is the single most effective solution for measuring and calculating all of your patients and refining your surgical outcomes. 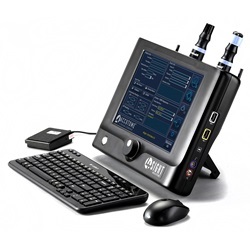 A-Scan unit has industry leading resolution and can be used for immersion or contact modes. 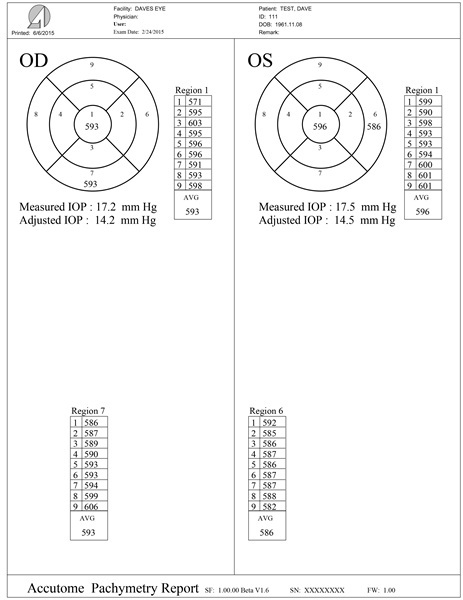 Pachymeter probe option for 4Sight Unit. 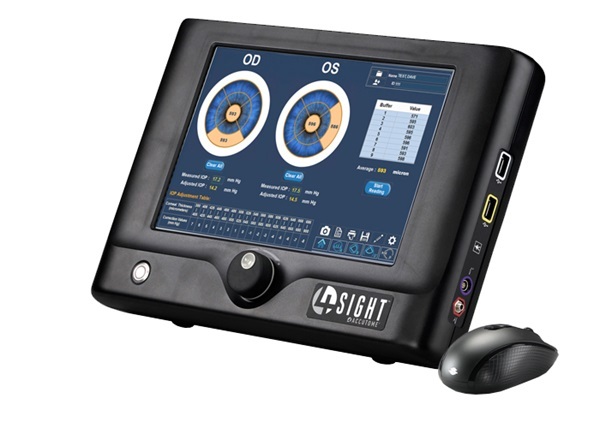 The 4Sight pachymeter has digital Signal Analysis, which offers outstanding accuracy and repeatability. 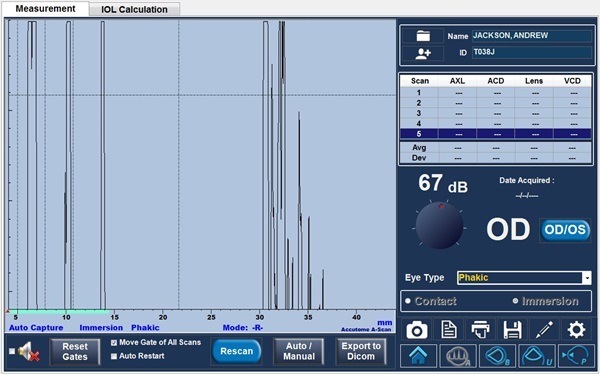 The pachymeter probe converts IOP measurements in seconds, has gentle touch probe, sampling rate of 65MHz, accuracy of +/- 5 microns, and 9 measurement areas per eye. 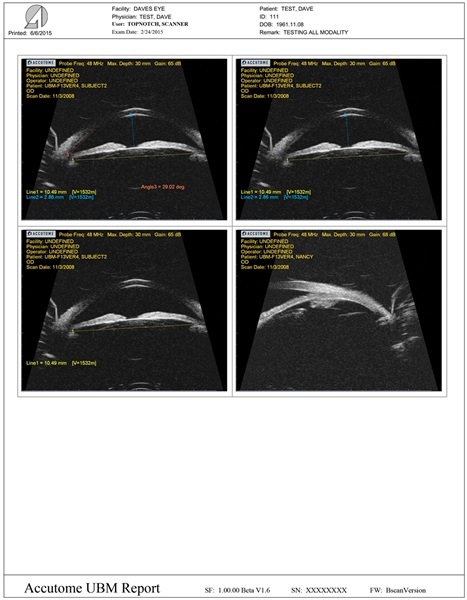 Accutome’s UBM Plus is used for anterior segment imaging. 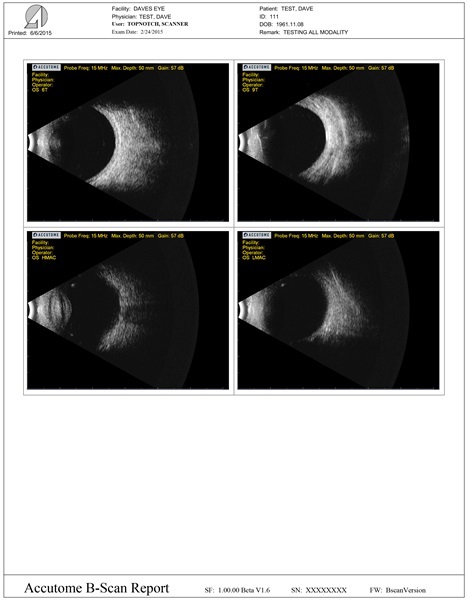 The revolutionary design combines the latest technologies with unsurpassed image quality.